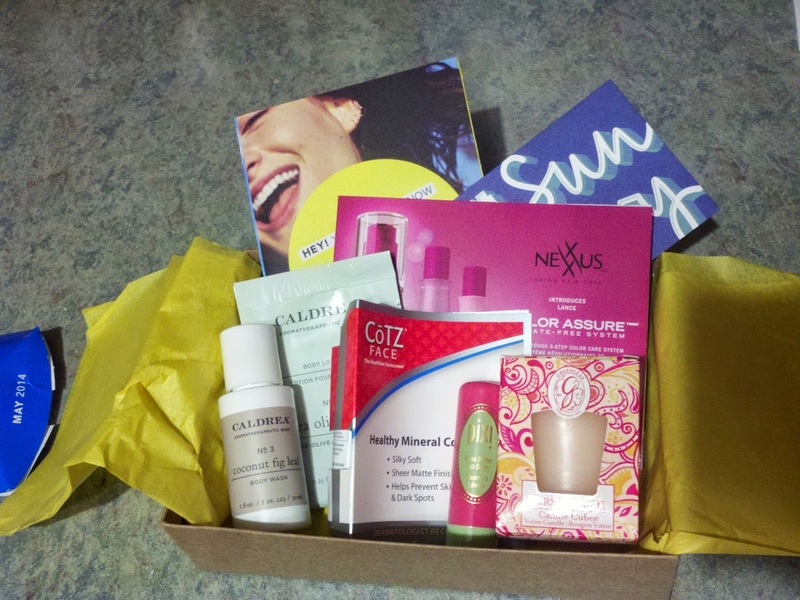 So going back a year to my May 2014 Birchbox! This was one jam packed box, but I definitely have to say it also had the one product I have hated the most from all my boxes I've gotten. Caldrea Body Lotion and Caldrea Body Wash: I remember very little about this particular sample, oops, sorry! I don't remember them being bad, just not memorable either. CoTZ Face Natural Skin Tone SPF 40: My skin is super pale, and as I've mentioned before, anything with any sort of tint isn't going to work for me, so this one was on that list too. It was just too dark to work for me so ah well. Nexxus Pre-Wash Primer: This is the product I mentioned that is the worst thing I've gotten in any Birchbox. I want to be nice most of the time, I try not to be too negative but this was awful. It was horrible, and I can't for the life of me figure out who let this thing out into the market. I understand what the point is, when you color your hair there's a delicate game you play with wanting your hair clean and pretty but also not washing out your color. But I'm sorry, this stuff basically coated my hair in oil (like I need help with that) and then nothing got through and did anything for it. I realize they think that's the point but it was so gross. I let it go a couple hours before I used my regular shampoo to wash it twice more to make it look presentable again, and then it was still only okay. Ugh, so terrible. Nexxus Color Assure Vibrancy Retention Conditioner: I'll never know how well these two worked because I used them along with the primer and it was so awful. Obviously they did nothing to get rid of the oil residue of the primer, since they aren't supposed to. Pixi Beauty Shea Butter Lip Balm: Change of pace though, another winner! I ended up getting all three colors of this later one because it was really awesome. It's very moisturizing, and the color is fun. All in all, it's great and a good product to keep around for when you want some color but not to go through a whole lipstick routine. Greenleaf Candle: I've kind of gotten away from candles in general lately because I've started using Scentsy products instead. But this candle smelled very nice, and I was very happy to get it. Especially because not long after this came in the mail my power went out and I realized it's a good idea to keep a candle around anyway. So this box had a lot in it, but not too much that was memorable in a good way, except the Pixi Lip Balm which I absolutely recommend. Remember, if you want to give Birchbox a try please consider using my referral link!